My friends often joke that I have grandma-like hobbies. I love scrapbooking and recently took up cross-stitching. I’m also prone to tackling random Pinterest projects. Or maybe I see something overpriced in a boutique and say, “I can totally do that.” And I do — kind of. So places like Jo-Ann Fabric and Craft Store and Hobby Lobby are my havens. However, sometimes I don’t want to drive 30 minutes to an hour when my creative mood strikes. Instead, I hit up Etsy — and binge-shop. Even Amazon has supplied me with some solid art supplies. But now a whole new world is about to open to up me — and all you DIY-ers out there. Etsy just announced its new market is slated to launch in April. It’s called Etsy Studio, and it will house original do-it-yourself projects, tutorials and supplies. Not only does this change the whole crafting game for folks like me, it also changes the game for those looking to make an extra buck or two — even if you don’t have the gift of craft. What’s Up With the New Etsy Studio? Apparently I’m not the only one who loves craft stores. The craft supply market is a $43 billion industry, according to The Association of Creative Industries. 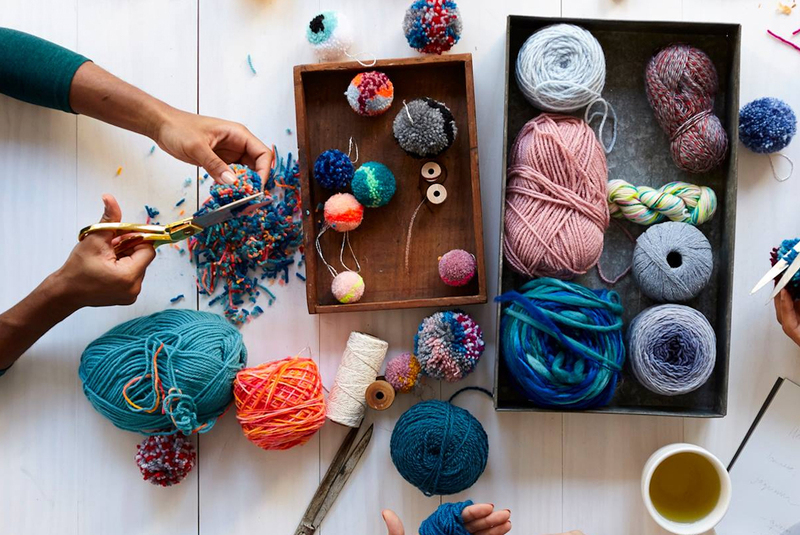 Etsy — with its current 1.7 million sellers who appeal to 27 million buyers — aims to tap into this industry by creating “a global market dedicated to craft supplies that seamlessly combines inspiration and shopping in one place,” according to the press release. Etsy Studio plans to offer 8 million products to crafty consumers when it launches, according to TechCrunch. Compare that to the 33,000 products that big-name, brick-and-mortar stores offer. The folks over at Etsy discussed ways the platform could improve with buyers and sellers. With this feedback, organizers created the new platform. Etsy outlined the changes it plans to make in its press release. And don’t worry, existing sellers. You don’t have to do anything when the new Studio is released. Etsy’s got the transition handled for you. Basically, your shop will now be featured on two platforms — double the exposure. 1. Etsy is adding a new shop manager and dashboard. This will act as a business hub for you creative entrepreneurs. There will also be a new dashboard, which will let sellers see everything from conversations with customers to pending orders and shopping statistics. The new shop adviser tool pulls out the most important and urgent tasks that need attention — so buyers aren’t left hanging. 2. Etsy Studio will help organize inventory. Through conversations with sellers, the folks at Etsy have gathered that managing inventory is pretty darn time-consuming. New tools will help sellers keep track of quantities, prices and stock-keeping units (SKUs) for each listing. This will also help buyers, letting them know if they really need to buy that photo album right now. 3. There’s a new handmade policy. This simply adds another level of transparency for sellers and buyers. Sellers will be able to describe how a handmade product was, well, made, and who they worked with. 4. Etsy Studio is also launching categories! I’m most excited about the new categories you can use to filter your search. For example, buyers will be able to search for items by size, material and color. Whether you’re a buyer like me, or you’re looking to make some extra money, check out the entire press release. And check out the website, too. There, you can sign up for email updates. Stay tuned for April. Lord knows I’ll be sitting on pins and needles until then (maybe literally if my cross-stitch hobby goes bad)! Your Turn: What part of the Etsy Studio are you most excited about? !